The Story of Our Not-So-Ideal Family Vacation! 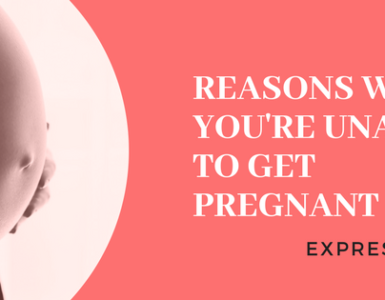 After taking a long break and lazing around in the monsoon sun (yes, monsoon doesn’t bring rain here in Rajasthan, just exclusive monsoon sunshine), I have a great deal to share with you. Especially about the vacation, I went on recently with my family. With our house in making and several other responsibilities, how we convinced my father to agree for this vacation, I have no idea. Thankful to my mother’s friend in Sangli, Maharashtra, who’s daughter’s wedding invitation caused us to think about taking this extended vacation of 7 days in total. When my father showed the slightest signs of approval, without further ado, I booked the plane tickets for our journey to Pune from Jaipur for the 7th of July and our return tickets by train from Mumbai to Jodhpur on 13th of July. After traveling from Jodhpur to Jaipur via car and then boarded our plane to Pune, i.e., Air Asia, an International Airline. What was different about Air Asia? There were posters of superstar Rajnikanth all over it for the promotion of his latest film, Kabali. Quite a sight, I must say. The new era of marketing and promotion is here! Moving on, we reached Pune in an hour and a half. 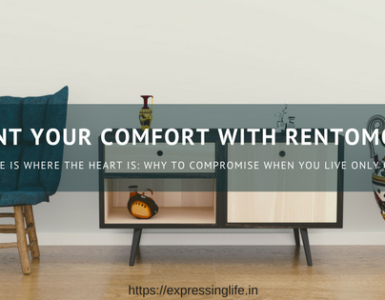 We hired a car for the rest of our travels, an Innova, and I slept quite comfortably in the backseat while my mother, elder brother and younger sister all sat, chatting on the middle seat and my father, with the driver on the front seat. It took us a lot longer than usual to reach Sangli because of the constant downpour. We all went to sleep as soon as we reached our destination and changed into comfortable clothes. The next day was packed. We had to attend the wedding functions and they were wonderful. My mother has some truly lovely friends. Those ladies were so affectionate towards my mother and welcomed us so heartily even when they were busy. The wedding reception was amazing. It was monsoon themed. The stage backdrop was potted plants with a mechanism that looks like it was raining because I could see the water running. The ceiling was decorated with 400 upturned umbrellas and the lighting kept changing to blue and pink and the music, Ah, the music. My favorite part. There was a band playing the beautiful Bollywood compositions back to back and the piano! The grand white piano. I just couldn’t take my eyes off it. I’ll share the video of the same on my Instagram soon. Apparently, my brother doesn’t like being captured. The best part though wasn’t the decoration, but the fact that the food items were restricted to 16 in total. Less in number, but amazing in taste and quality. Indian weddings are known for their pomp and show, their extravagance, but this one, this wedding in Sangli was the first one to keep the number of delicacies served to 16 which goes easily up to 80-100 in any big fat Indian wedding. Times are changing and so will the society, one wedding at a time. An unedited wonder, is it not? The heavy downpour made it impossible to explore Mahabaleshwar any further, so last minute changes in the plan and we headed, in the evening, to our next destination, Alibaug, a coastal town. We reached Alibaug in the dead of the night and settled at the first hotel we saw as the plan had changed midway and it turned out to be cozy. We were snug as a bug in a rug! We rode a carriage that took us to the far end of the beach and back. We left when the first shower hit. Now this was supposed to be our day in Lonavala, so we headed there right after lunch. On the way, we saw various scenic miracles and took several pictures. The rain made it impossible for us to head straight for Lonavala. The way was blocked when we were just 2 kilometers away from entering Lonavala and we had to take a detour which resulted in the loss of an hour. Now the hotel that we were supposed to go to was situated in such a place that after reaching almost as close as we were to Lonavala when trouble came that the way was closed for tourists because of only God knows what. The rain was the root cause, of course. Now we took a detour to our second option and headed to Hotel Lonavala and in the way came the first and India’s only wax museum. Art has so many forms, and not one fails to bewitch me. I created a video compilation of a few statues which you can watch on my Instagram. Now, Lonavala would have been a lot more fun if we hadn’t got stuck in traffic on its narrow roads and top it off by the heavy downpour. So as we retired in the evening to our cozy rooms after a long walk, a little Chikki (Famous sweets) shopping and eating to our fill, we dozed off instantly. The next day, we headed out early to catch up on the few places we couldn’t visit the other day and found an absolutely beautiful spot that now easily takes a few hundred MBs on my iPhone (Yeah, I got an iPhone when my Xperia Z1 was sacrificed to my carelessness! *Sobs*). 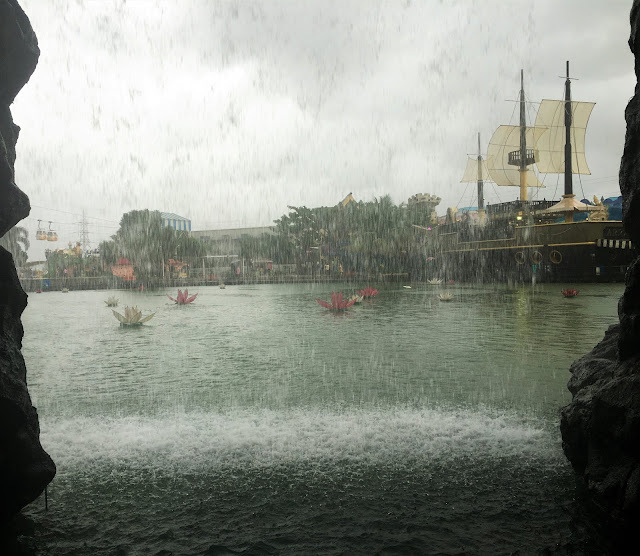 Around half past twelve, we arrived at Imagica, a popular amusement park, situated at an hour and a quarter’s distance from Mumbai. The park has three variations, a theme park, a snow park and a water park. It was way better than I had imagined. Creatively constructed, fun for all ages. Since it rained that day too, the outdoor rides were closed for a while, but the indoor rides were pretty great as well, and my mother agrees. We went to the theme park and the snow park. The theme park was amazing, it had so much to offer that we lost track of time. You certainly cannot explore it in one day if you don’t arrive as soon as the gates are opened. The structures, the rides, the colours, you just can’t help admiring it. So the first ride was Deep Space, an indoor roller coaster. Of course, I didn’t know that when I excitedly heard myself say, ‘I’ll do it!’. Yes, I’m afraid, I’m afraid of heights and roller coasters and other scary rides and I was kind of thankful that the outdoor rides were closed because I was scared that my sister would drag me along to ride Nitro, the outdoor, scary, roller coaster. But, I did it anyway. My sister motivated me and my brother mocked. So you know, mixed effect. We were told to take off our spectacles before we got on the ride which reduced the fun, but I have to say, I screamed and I enjoyed it. It was short, though. You can check it out on Google. After this, we had lunch and then the other Indoor rides after going to the Snowpark. Honestly, I prefer Jaipur’s Snow planet over the Imagica one because I had more fun there. Yes, this one’s larger and has more rides, but we only spent half an hour in this one and a full hour in Jaipur one. I loved the ride ‘Mr. India’ which was based on a popular Bollywood movie, Mr. India. We took pictures, had fun and set out to Mumbai at around 6:30 in the evening. Stuck in the traffic, we arrived at Mumbai at my relative’s place at around 10:00 p.m. or probably even later. I slept all the way! The weather was nice, it rained but softly. The day was marked for shopping and that we did. My sister and I went to Linking Road, while my mother, father, and brother chose to visit the mall, Inorbit. We met at the mall, later in the day at 7 and browsed and shopped a little more, ate and returned home. The next day, we were all packed and ready to leave by 11. We reached the Bandra Terminal just in time, thanks to traffic, of course. The journey was, well, alright. Our co-passengers were three elderly people, one couple and a man. The old man and his wife chatted with us while the third man just slept the whole way. The old man had partial paralysis. Just yesterday, my father told me to tweet to the railway minister that every coach should have a digital screen that shows the upcoming station, the time of arrival and the time of the halt in order to reduce the worries of the elderly, the physically challenged and the others. Would you assist me in the same? We reached home at 7 in the morning and finally, I took a deep breath. There’s nothing more exhilarating than returning home after a long journey, is there? This yatra might not be ideal for you, but within my definition of ideal, it fits perfectly. We were all together, we created memories and we had the time of our lives, what else matters? Did you enjoy reading? Let me know in the comments and do share what you’ve been up to all this while! I have another travel story to share and hopefully, I will. Want to read another of my travel escapades? Here’s one: Travel Story: Escapade in Mumbai! Wow thanks for sharing it sounds like everyone had a wonderful time… I'm glad your father agree to the trip… well written again it described everything that you did wonderfully..let your brother know I loved his beautiful pictures he did I great job…. Again I'm glad your lovely family had a wonderful time..
Oh loved the post! Have to make some travel plans 🙂 Lonovala is a place I have been wanting to visit for a while now ..
Beautiful clicks from you and Raghav. By the way which cam and lense is he using? Pictures are damn good. 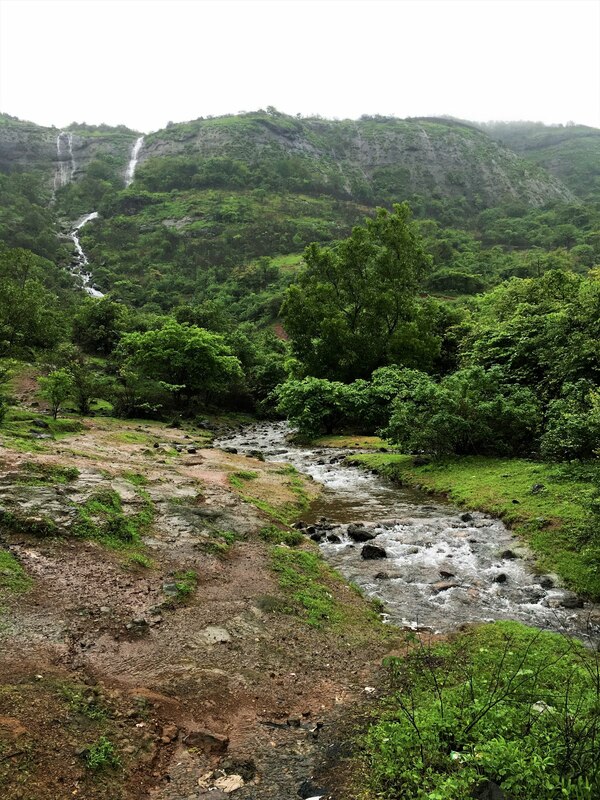 Lonavala is amazing and I love visiting it during Monsoons. I have such fond memories of it. Loved seeing your journey through it too. Thank you for taking your readers along on your vacation. I loved your photos taken from the airplane. Sounds like a great trip and I love the upturned umbrella idea! I loved your pictures. The one taken at the railway station is awesome. Your brother has the talent. You have done a good job taken us on your journey 🙂 Fun post. Loved the pics, and I'd like to travel like this some time. Oh I don't know, my experience wasn't too good in Monsoons as you can see! 😛 Thanks for stopping by, Ami! You brought back all the memories I have of Maharashtra! The Maple Garden, Mahabaleshwar,Lonavala, Alibaug,Mumbai.. Maharashtra is heaven in this weather, isn't it? Amazing travel and you created beautiful memories with your family ofcourse. Photod are awesome, good to have a photographer in your family itself.